It’s been a little longer than usual since I posted anything because I’m in the middle of looking for a new job and have spent a lot of time over the last week filling out amazingly detailed application questionnaires. Between that and composing the usual weekly sermons and Bible studies, my brain hasn’t felt up to composing much of anything else, but I’ve finished four books since last time I posted here so I figured it’s time to write at least one review. Here is my first read of the year in the Back to the Classics Challenge – I’ll be using it for the category A Classic by a Woman Author. This is the story of a young man’s disillusionment and what came after. At the start of the book Silas, a weaver, belongs to a strict Dissenter sect. He soon experiences betrayal and is excommunicated after the casting of lots falsely indict him rather than the truly guilty party. 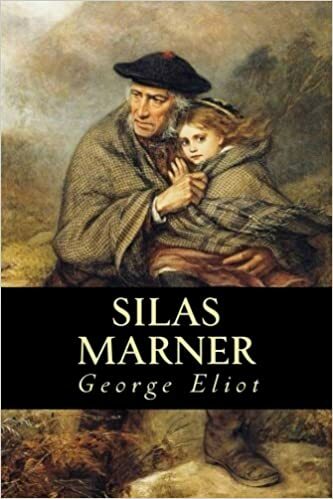 Wondering how God could allow such a thing, Silas moves to the small community of Raveloe (where he is perpetually “an outsider”) and loses himself in solitude, work, and the stockpiling of gold. But life (Providence? God?) isn’t done with Silas, and two major events change the course of his solitary, miserly life. The town of Raveloe is peopled with interesting characters, though occasionally I found their extended folksy ramblings tedious. The most important group to the story is the local squire, his two rascally older sons, and connected spouses and relatives. I wish that the ugly sister-in-law Priscilla had more “screen time” as she was quite amusing…I suspect George Eliot to have partially based the character on herself. This is essentially a “reclamation” story along the lines of a non-supernatural version of Dickens’ Christmas Carol (Dickens loved it and wrote her a “fan letter”). It touches on themes of “reaping what you sow” and how God’s ways “are higher than your ways.” Overall, it is a sweet, enjoyable book that is well worth reading. Previous Article Death to the false emperor! Good luck with the job hunt! Hope it all goes well! I have been meaning to read this for a while, because I like Eliot’s writing- glad it was good!